As you all know, Google launched Google for jobs at Google I/O a couple months ago after being caught testing job search features in search before that. 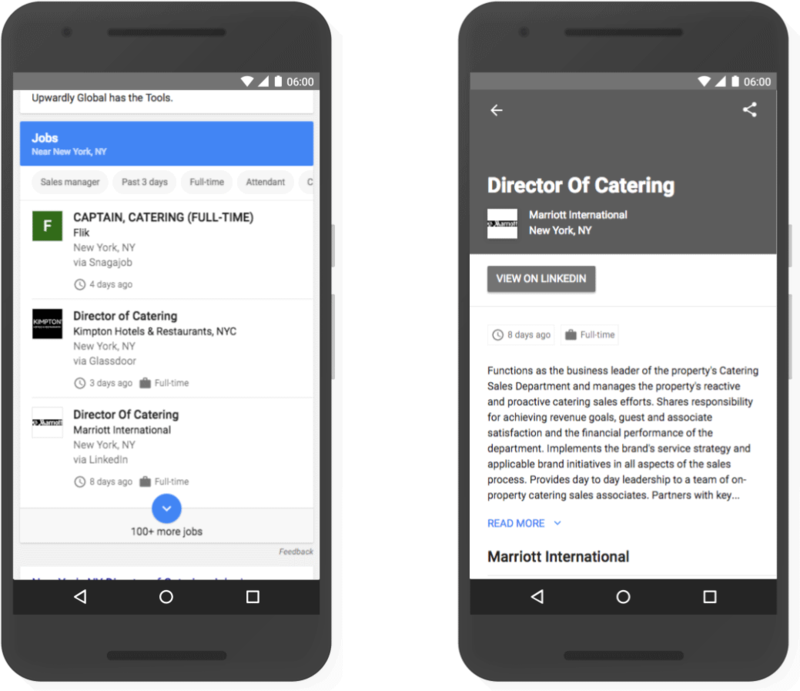 We also spotted a new schema for job postings that Google didn't comment on. In any event, you can learn more over here. Previous story: Google: Plan On Moving From M-Dot To Responsive? Do It Before Google's Mobile First Index.